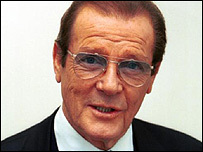 James Bond actor Roger Moore has left hospital in New York after having surgery to be fitted with a pacemaker. The actor was taken to hospital after he collapsed during a theatre performance. The 75-year-old actor and Unicef ambassador was appearing as the guest in the show The Play What I Wrote on Wednesday. Mary Cahill of Unicef, who spoke to the star on Friday, said: "He's feeling very well, but a little fragile. "He feels very lucky that it happened where it did because he was able to get excellent medical treatment." Moore was admitted to hospital at the end of Wednesday's show with respiratory problems after falling over during the Broadway comedy. 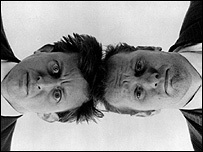 Audiences first thought the collapse was part of the actor's routine, but soon realised it was a genuine health scare. The show's stars, Right Size comics Sean Foley and Hamish McColl, told the Lyceum Theatre audience the show would be taking a short break after Moore is said to have told McColl: "I think I've fainted, old boy." Mr Owen said Moore had got short of breath and fallen down, and that other actors had mopped his brow and helped him continue his performance. Moore received "a huge cheer" when he returned to the stage, dressed in lederhosen, for the last part of his role. Moore was playing a cameo role in the show, written by Foley and McColl and directed by Kenneth Branagh. He is the latest of several stars to do the guest spot in New York, after Liam Neeson, Kevin Kline, Alan Alda and Jeff Goldblum. The play, which started in London in 2001, is an homage to the double act comedy of Eric Morecambe and Ernie Wise.